Katherine Rasmussen is a litigation lawyer in Dinsmore's Columbus, OH office. 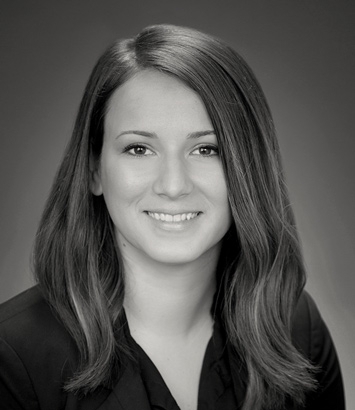 Katherine concentrates her practice on commercial litigation. Prior to joining Dinsmore, she served as a legal and corporate affairs intern for Palace Sports & Entertainment, where she researched and analyzed a variety of legal issues relating to arena operations of the Palace, home to the Detroit Pistons. She helped negotiate and draft contracts with corporate sponsors, advised on issues relating to HIPAA and workers’ compensation claims and ensured compliance with NBA regulations pertaining to promotional sweepstakes.